The Australia pub rock era is generally regarded as occurring between the early 1970s and the mid-late 1980s. 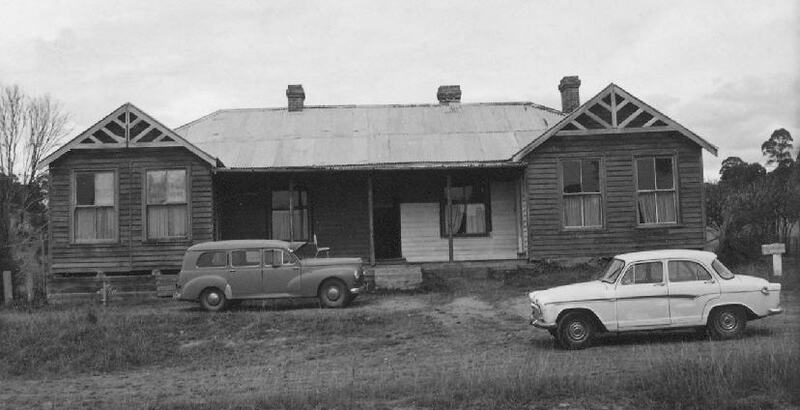 During that period a strong music scene emerged in the Northern Tablelands. This page is a work in progress that will attempt to provide a brief historical insight into the social factors – both in terms of audiences and musicians – that emerged within the various townships during that era. Music and Socio-Cultural Diversity: An aspect of regional music that has been little understood by either socio-cultural theorists or the music industry historians is the enforced nature of community participation. The physical isolation of regional towns, the limited entertainment opportunities and the smaller population (both communities in general and the local music industries) means that participation in most music-related social activities by the youth demographic involves a diverse group of people with different music preferences and expectations. Regional youth, in effect, are forced to be more tolerant of widely different music genres because they often have little other choice. Often it is the social aspects of the event or actively more than the music that is important. For metropolitan youth the increased availability of transport and entertainment (i.e. bands and venues), means that individual patrons and even particular subcultures have more opportunities to choose which gigs they want to attend. Regional youth on the other hand are always limited in their gig options (if they have an option at all). In the late 1970s, for example, a punk fan living in one of the major cities could follow a particular band or go to a specific (often inner city) venue to hear their music of choice. A few years later rudeboy and ska music gathered momentum in Australia (as part of a mod revival), and venues like Sydney’s Sussex Hotel, became linked to those subcultures. Few small regional industries were able to provide such specificity, however. While bands and venues had to offer much greater diversity or suffer the economic consequences, the audiences were also forced to be more open in their musical appreciation. During the pub rock era, then, it was not unusual to see groups on the same bill playing vastly different types of music. During the 1970s and 1980s a double bill might comprise, for example, a hard rock or punk-style band as the headline act supported by a bush band. Interestingly, it was not usual to see the same people dancing for both bands. It was also not unusual to hear a good deal of diversity in the repertoires of local bands. While some preferred to play it safe with a mix of classic rock covers, contemporary hits and possibly a smattering of originals, other bands were influenced by music from outside the mainstream. In order to get work and maintain local support these bands also had to introduce more familiar material, if played in a stylistically different way from the original source. In the late 1970s an unusual hybridisation of music and sub-cultural styles developed in Armidale, for example. 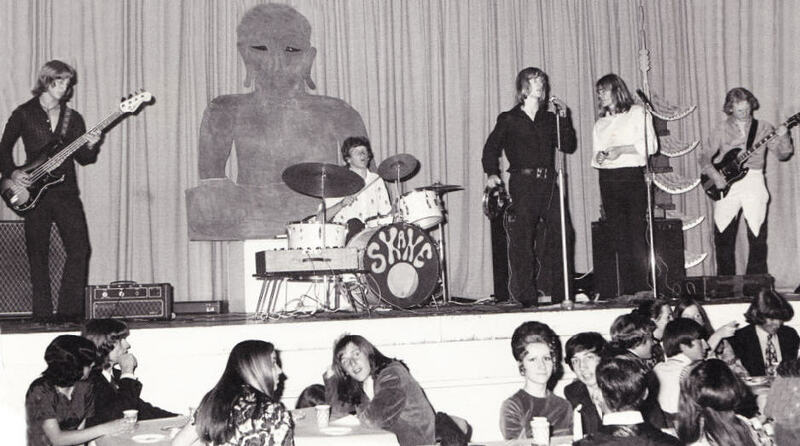 The members of several emerging bands, including Vice Squad and Health Club (right) had been initially influenced by 1960s/70s hippy rock genres (i.e. hard, psychedelic and art rock) along with heavy metal and glam rock but then began to discover punk. The combination of older genres played in punk style, by musicians with long hair (and even beards) while dressed in clothes that were more influenced by counter culture fashion than Vivienne Westwood, can be seen to have led to a cross fertilisation of subcultures and music that might best described as hippy punk. Music Industry as Community: The forging of industry relationships in regional towns necessarily requires much greater effort if not resilience. The need for collaborative friendships, the sharing of musical expression and the forming of bands is generally more intensive in a small industry because the options are limited. A city music industry environment, for example, is orientated towards a low level of community commitment because of the ready availability of human resources and industry opportunities. Regional musicians, however, have much fewer options and hence require different strategies for not only making connections but also in maintaining them. Thus issues relating to personalities, egos and diversity of musical tastes are more problematic for the regional network because when fall outs (or even feuds) occur they have greater ramifications across the network. One of the most significant features of regional music industries is the community that develops within and across particular peer groups. These industry networks, often formed as early as high school, are developed over the years through jams, parties (often one and the same), and through association as individuals move through various bands. Armidale-based musicians, for example, invariably utilised locations out of town to jam and socialise during the 1970s and 1980s. One notable place was the Old Rockvale Pub (above left), located 20-odd kilometres out of town, and which developed a reputation as a hippy-style commune from the early 1970s. Jam sessions were a constant aspect of life at Rockvale, and numerous bands and friendships were formed out of this community. Another jam collective (with the loosely-coined name Guerilla) also regularly jammed in the mid-late-1970s on the verandah of a rental house at Warrane, a property situated well out of Armidale on the Boorolong Road. Jam sessions were not only confined to parties or musicians-only sessions. A number of regional venues and businesses during the pub rock era occasionally (or sometimes on a more regular basis) provided opportunities for jamming to audiences. One of first venues to do this in Armidale was the Coffee House which provided a space for young local musicians to get together and entertain their friends and other patrons. Situated in Marsh Street, opposite the St Kilda Hotel, the Coffee House was also popular with the town’s youth because it stayed open on weekends after the pubs closed. Quite a number of bands formed out of these jam sessions. 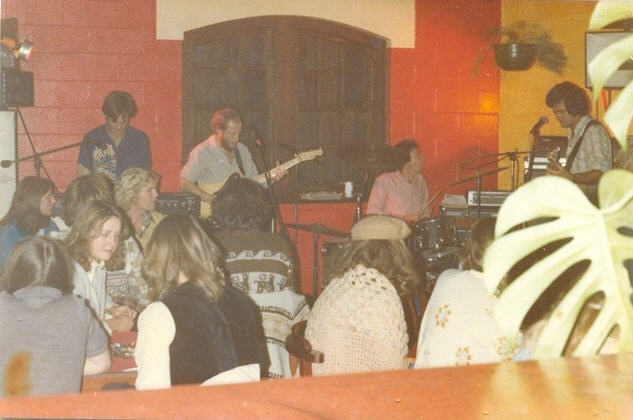 A few years later the Moore Park Inn, with the help of local band Kelsey, began operating a Sunday evening ‘upmarket’ entertainment. 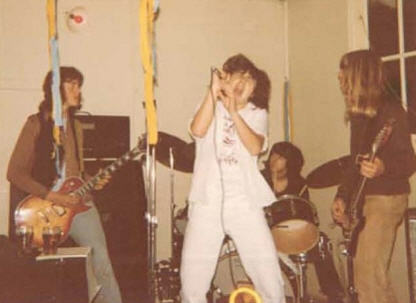 The town’s leading rock musicians at that time participated on a fairly regular basis, with many having played together in various bands over the years. Even those who’d never played together could find well-known material to draw from in the jams. Another Armidale venue which provided fairly regular jam sessions was the Galloping Grape. Guitarist Neil ‘Nobby’ Osborne recalls jamming there one night in 1878 with his brother Garry (drums), Kim Constable (bass) and Don Walker (Cold Chisel songwriter/keyboardist) who was in town visiting his mother (see above right). 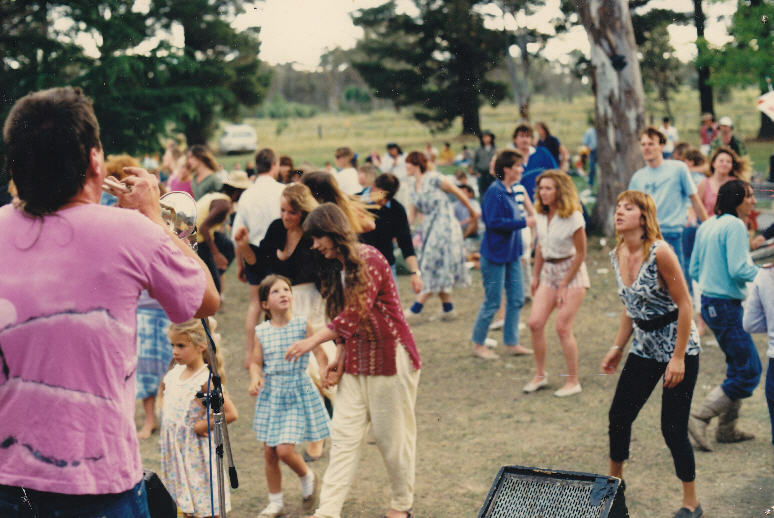 The industry networks that formed in Armidale during the 1970s and 1980s also provided increased opportunities for individuals to explore new musical territories even despite the relatively small population. As bands broke up new alliances were formed between musicians who had never played together and in many instances also opened up possibilities for individuals to renew their association with old band mates. It was also not uncommon for siblings or close relatives to be playing in some band and competing against each others. While long-term collaborative associations have always been part of the national music industry, city-based musicians at all levels of the industry have access to an expansive network, whereas regional musicians’ choices are restricted. Jamming at Brian Moore’s home (Jeffrey St, Armidale) circa 1990s. L-R: Rocky Lane, Paul ‘Tall Paul’ Mailfert, Al Heaney, Neil ‘Nobby’ Osborne, Brian ‘Lanky’ Moore (drums), Chris Green, Kim Constable. Regional audiences during the 1970s and 1980s crossed a diverse range of ideologies, attitudes and behaviour, particularly in Armidale. The combination of uni students, townies and the various subcultures within each – hippies, punks, conservatives etc – meant that any event was a melting pot. While overseas youth, particularly in the UK and America had moved beyond the 1960s counter-culture by the mid-1970s, in Australia, and certainly in Armidale these ideals were only beginning to manifest themselves in spectacular behaviour. Nobby Osborne recalls, for example, a memorable Ukiah gig, played in winter at the Armidale Show Ground ca. 1977: “At three in the morning,” he writes, “someone was doing donuts in his car in the middle of the race track, and I turned around on stage and a guy was standing next to me and all he had on was a tie and a pair of boots. That year it was ‘cool’ to take off all your clothes and walk on stage with the band. It [also] happened a couple of times at the uni dances” (Nov. 2010). Another highly paid but strenuous gig in terms of audience behaviour was the B&S Ball (Bachelors and Spinsters). Invariably staged on a property some distance from the nearest town, these events required stamina from the band . It wasn’t uncommon for the band to play play pretty much all night. Nobby Osborne remembers playing two B&S balls – North Star and QV (a property near Wollamumbi). ‘These gigs were a riot,’ says Osborne. ‘You would have guys and gals dressed in their evening attire at 4 o’clock in the morning rolling drunk in the sheep race. At North Star I remember playing until the sun came up in the morning’ (Nov. 2010). While the general behaviour of regional audiences may not have been that much different from their city counterparts there were on occasions some incidents that could only have taken place in country venues. Neil Osborne recalls a gig at Glen Innes in early 1973 while playing at the Boomerang Hotel with Sundown on Saturday night: ‘In walked this guy from the hills. He had been out shooting that day [and] on his back was a dead kangaroo. He started walking around the dance floor pointing to the carcass on his back saying “dead kangaroo, dead kangaroo” over and over. This other guy got annoyed, walked up and king hit him. The [first] guy lay on the floor but in a muffled voice kept saying “dead kangaroo, dead kangaroo…”‘ (Jan. 2011). Sources: Clay Djubal (2010) • Neil Osborne (correspondence, Nov. 2010; Jan. 2011).